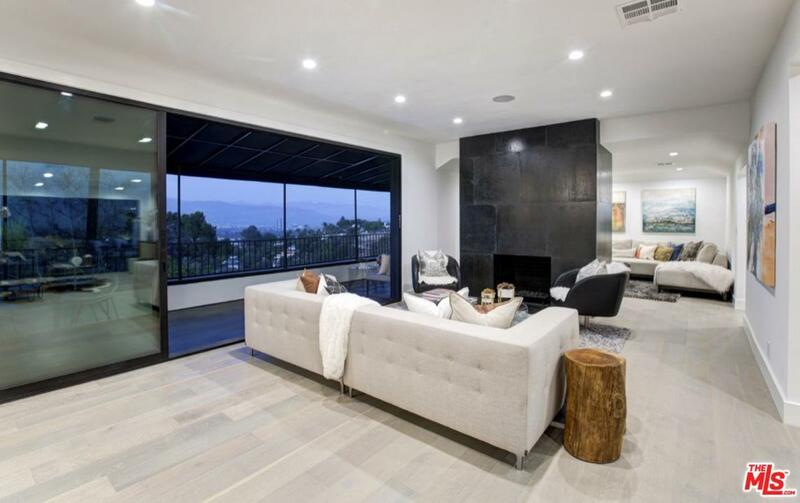 Nested in the Hills, sits this luxurious panoramic view home with a graceful Contemporary modern design. Airy & light-filled, the interior draws you in with wide open entertainment spaces that flow effortlessly from inside to out. Corner lot property sitting high above the street affords the utmost privacy while providing spectacular views from almost every room. 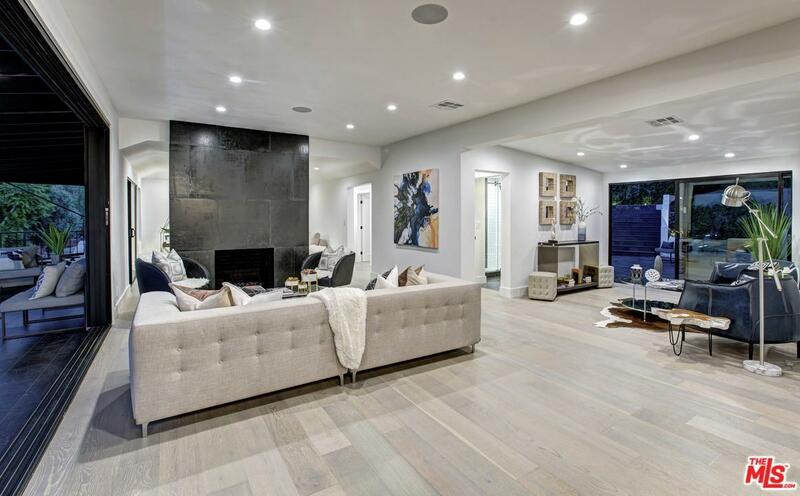 An exquisite almost brand-new remodel boasting sleek new finishes, glass walls of vanishing Milgard pocket doors & new systems. An open & spacious layout that exudes intimacy predominately sitting on 1 level. Large secluded backyard-wonderful retreat with a huge heated swimmers pool. Garage has an oversized door that fits an RV or boat. An incredibly spacious & private entertainment area surrounds the built-in BBQ outdoor kitchen. 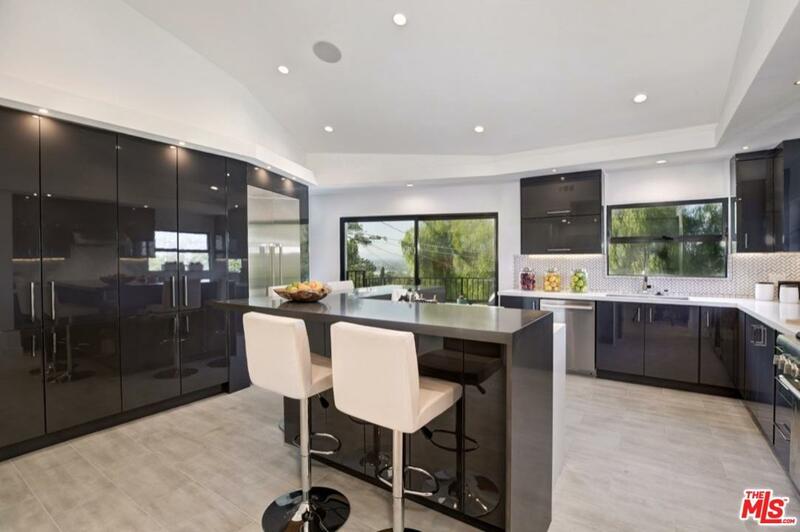 Thermador appliances grace the gourmet kitchen with center island seating. The 5 bdrms consist of 4 en-suite bdrms with 2 grand master suites & an entire lower level bdrm having a separate entrance. Listing provided courtesy of Lehoa Miller DRE#01422855 of Douglas Elliman Of California, Inc..